Happy Monday friends! I hope you all had a great weekend enjoying Summer! We took full advantage and went to the water park and a little exploring at the beach. Lots of fun and enjoying the sunshine. 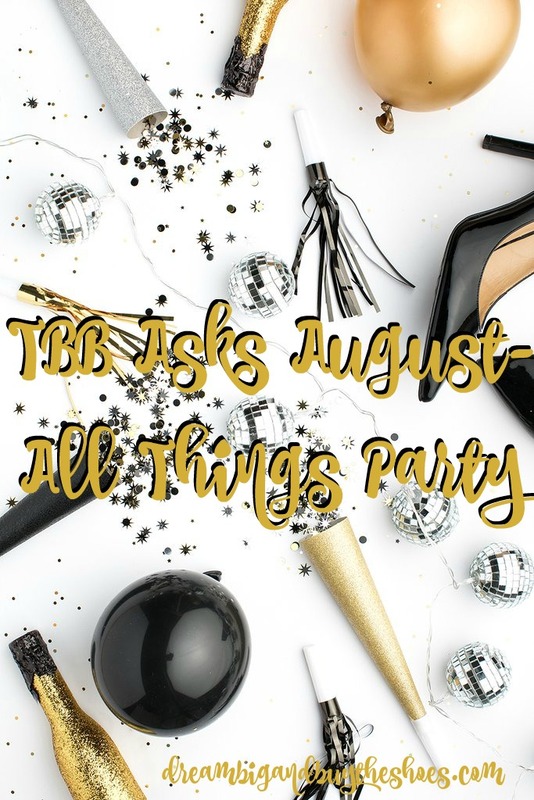 Today I'm linking up with Andrea and The Blended Blog ladies to share all things PARTY mode. Let's do it! 1. 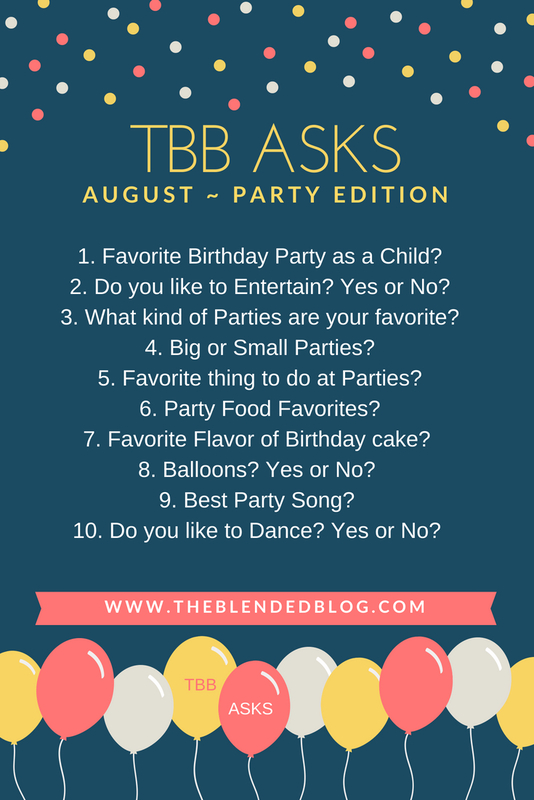 Favorite Birthday Party as a Child? I can't remember how old I was turning but I remember my having so much fun at our house. My mom baked birthday cake inside of ice cream cones and topped it with ice cream- SO good. We had a HUGE slide at our house- we purchased it from a park when they were getting new equipment so it was the real deal and we made it in to a water slide. Childhood memories are the best! 2. Do you like to Entertain? Yes or No? I do. I love planning and I love themes. I even planned my bridal shower- much to many people's dismay, but it's so fun for me! 4. Big or Small Parties? I say small- you can mingle and talk to people much better. 5. Favorite thing to do at Parties? Hmmm....I like to play with the kids if there's any. If not, gimmie a drink and I'm good! 6. Party Food Favorites? ALWAYS the buffalo chicken dip! 7. Favorite Flavor of Birthday cake? Chuck got me an almond cake this year and it's my new favorite! 8. Balloons? Yes or No? oh YES! 9. Best Party Song? Push It- Salt-N-Pepa is my go to jam. 10. Do you like to Dance? Yes or No? Oh for sure!